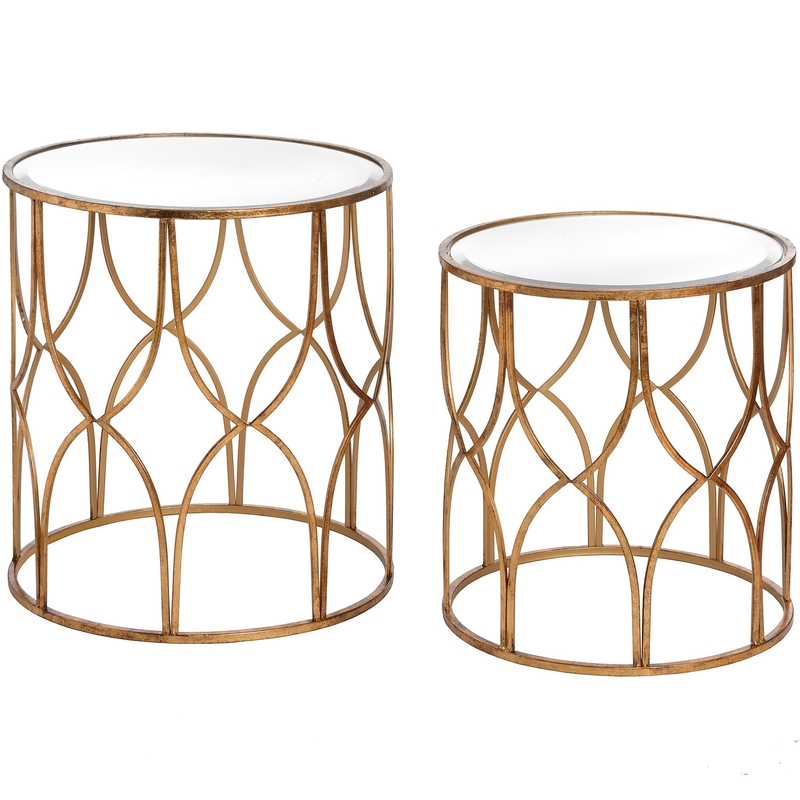 Featuring a detailed lattice frame, the set of two gold side tables are a must have for your home if you lack the space for a traditional coffee table or side table. You can easily use these tables when needed and stack them away when not in use to help you save room. Although they include a detailed lattice design, don't be put off by the gold finish as furniture like this will make for the perfect addition to any style of home.